JOHNSTOWN, N.Y. — The rabbis had never inspected a medical marijuana plant before. 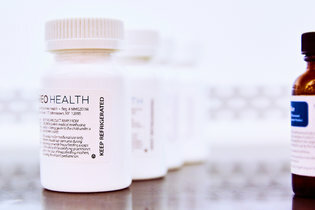 They had arrived here at Vireo Health of New York’s plant, about an hour northwest of Albany, looking for evidence that the company’s products merited kosher certification. They would eventually give their approval, but not before asking some tough questions, beginning in the room where row after row of plants hung upside down to dry. “This is where they start getting worried,” recalled Ari Hoffnung, the company’s chief executive, because the kosher rules they were most focused on apply after a plant is dried. Vireo’s plant here looks like a prison and smells like a dorm. It used to be the site of the Tryon Residential Center, a state-run facility for troubled youths that closed several years ago. The irony is not lost on Mr. Hoffnung or his workers. 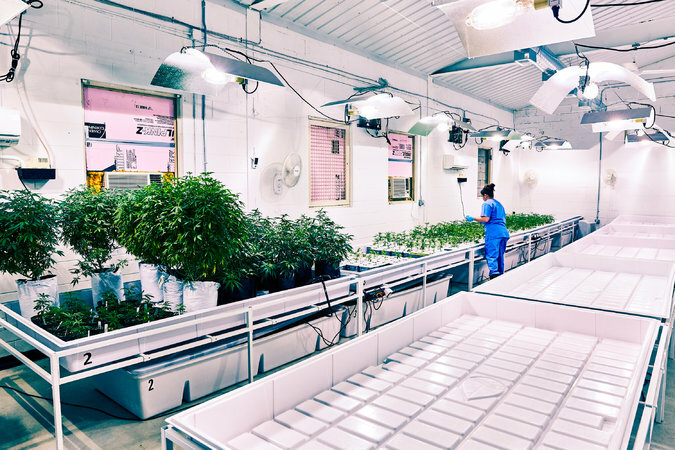 As he walked by old classrooms where hundreds of marijuana plants now grow, Mr. Hoffnung explained that the rabbis had mostly cared about what happened toward the end of the manufacturing process, which is why the drying plants had raised eyebrows. What chemicals did Vireo use to extract the cannabis oil, the rabbis had needed to know. What kind of capsules did they use? Smoking marijuana by itself isn’t an issue — at least not from a kosher dietary standpoint — since the rules are intended for food and drinks. Products ingested in some way, on the other hand, are another story. Ingredients must not come into contact with forbidden foods, like pigs or insects, and the restrictions extend all the way down the supply chain. Every ingredient in a marijuana brownie, for example, needs to be kosher. The leaves, if eaten, would need to come from a bug-free plant. Marijuana gelcaps cannot be made out of pig gelatin. There are also rules for the equipment that processes kosher food. Vireo’s products that have been certified by the Orthodox Union can have the recognizable “OU” stamp on their packaging, and must submit to periodic inspections from the group’s rabbis. “We literally took them through every square inch of the facility,” said David Ellis, the executive vice president of operations at Cresco Labs. The Chicago Rabbinical Council visited Cresco in March and said it was in the final stages of issuing a kosher certification that will cover everything from chocolate bars to concentrates. Lifesaving medical treatment is an exception to kosher rules. A cancer drug made out of bacon-wrapped crickets, for example, would be fine. But while many patients use medical marijuana to treat the symptoms of serious illnesses, cannabis products are often not considered curative. The products, almost certain to have a niche market, will be joining a booming industry. Legal sales of marijuana are expected to rise to $5.7 billion this year, up from $4.4 billion last year, according to a report from Ackrell Capital, a boutique investment bank. The recreational use of marijuana is legal in four states plus the District of Columbia, while medical marijuana is allowed in 19 more. Mr. Hoffnung, 42, is quick to say that he is not a cannabis enthusiast and wants nothing to do with the recreational marijuana industry. He says that he considers Vireo, one of five companies licensed to sell medical marijuana products in New York, a pharmaceutical company. Dressed in a dark blue blazer and white button-down shirt, he looks like the Wall Street executive that he used to be, having spent nearly a decade at firms including JPMorgan Chase. After Wall Street, Mr. Hoffnung served as a deputy comptroller for New York City. Part of his job involved analyzing the fiscal implications of medical marijuana. “Just studying it with a group of economists and sophisticated financial analysts led me to believe wow, this is a multibillion-dollar market,” Mr. Hoffnung said. The industry still faces a number of challenges, because the federal government considers marijuana an illegal drug. Many banks refuse to work with companies in the cannabis business, leading to stories about trunks full of cash and covert money transfers. And these companies cannot take advantage of some of the tax breaks intended for small businesses. Vireo spent thousands of dollars on its kosher certification — Mr. Hoffnung declined to say just how much, because he sees it as one small step along medical marijuana’s march toward mainstream acceptance. The endorsement from a rabbinical organization, he hopes, will help the products appeal to a broader swath of consumers. Representatives of the Orthodox Union and the Chicago Rabbinical Council, which inspected Cresco, said that the idea of kosher medical marijuana had stirred much internal debate, and that they would certify only medical marijuana and not products intended for the recreational market. Deciding to go forward with the certification process “wasn’t an easy decision,” said Rabbi Moshe Elefant, the chief operating officer at the Orthodox Union’s kosher division. But Rabbi Sholem Fishbane, the administrator of kosher laws for the Chicago Rabbinical Council, said he now expected to get more calls.